Ensuring learning isn’t interrupted by unnecessary law enforcement actions. Every child has the RIGHT to an education that is uninterrupted and without fear. With our current political climate, immigrant and minority families face increased intimidation, criminalization, and deportation. It’s Your Right’s goal is to pass policies at every charter network and district in the state that prevent law enforcement and ICE from entering schools or accessing data without a warrant. 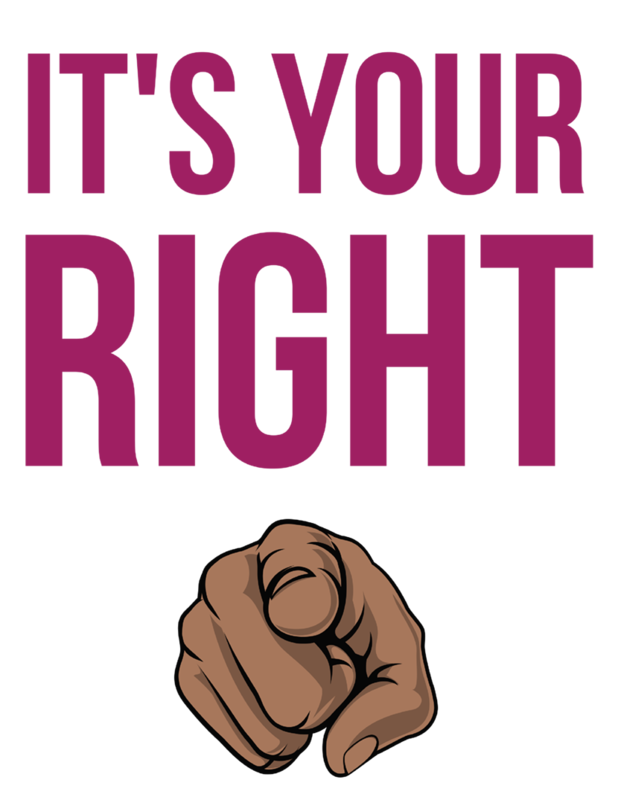 Show your support for our It’s Your Right campaign to pass policies across the city that prevent law enforcement and immigration enforcement from access students or student data without a warrant. 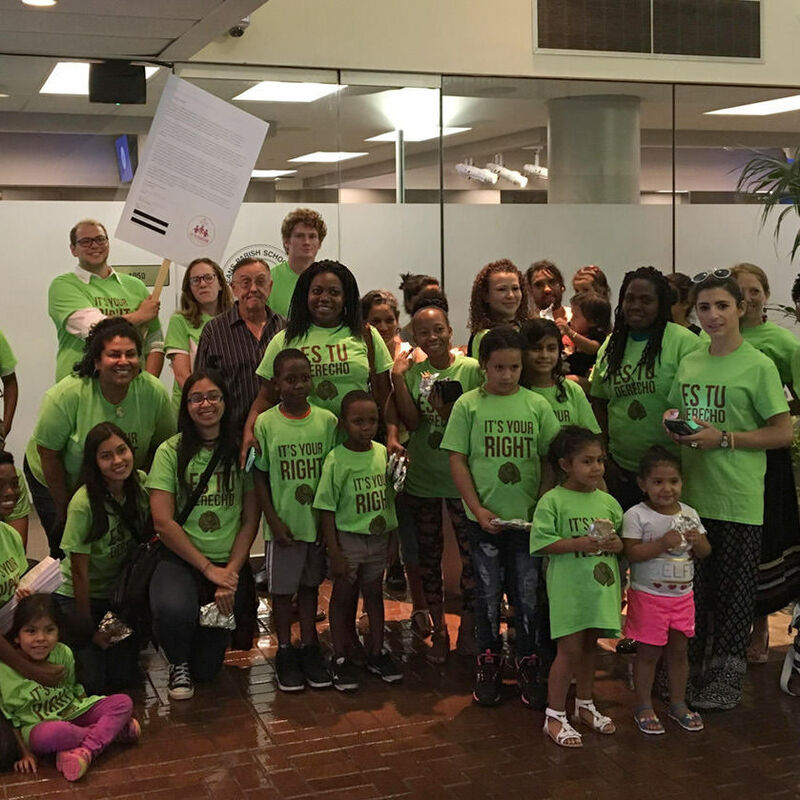 Join our letter writing campaign! 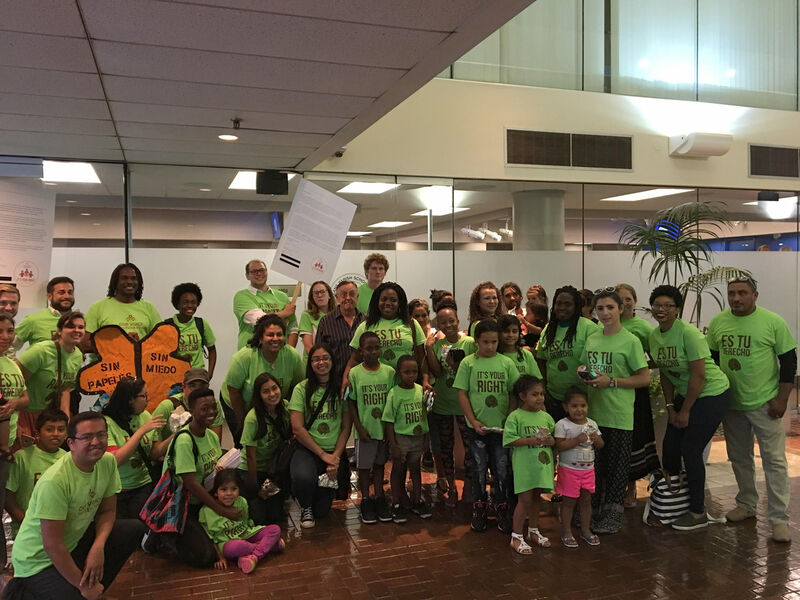 On July 20, Our Voice Nuestra Voz organized over 50 parents, students, and educators to attend the Orleans Parish School Board meeting to demand a policy that prevents law enforcement including ICE from access to schools and student data without a warrant and process. As a result of this action, the OPSB passed a resolution in support of undocumented students, and has been working with OVNV in drafting a policy. On September 14, in front of OVNV parents and members, the board voted to implement the final version of the policy (1, 2). In addition to OPSB, Bricolage, and Firstline schools have also passed similar policies due to It’s Your Right. We will not rest until EVERY charter network in New Orleans passes the policy.